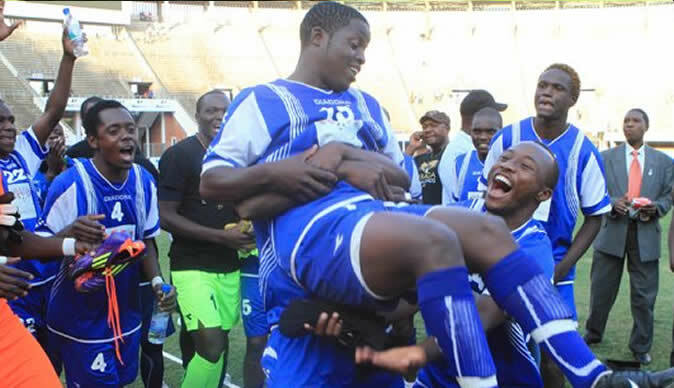 DYNAMOS are seeking friendlies with teams from the South African Premier Soccer League as part of their preparations for the Caf Champions League. The Zimbabwean champions want to play against Orlando Pirates, BidVest Wits and Limpopo-based outfit Black Leopards. Dynamos chairman Kenny Mubaiwa told Supersport.com that the prospective fixtures will give his team an opportunity to sharpen their performance ahead of their continental showpiece opener against Lesotho Correctional Services in March 2013. He said Dynamos have recruited some players in the off-season, and they are therefore keen to test their new combinations. “We have signed some few new players and we need friendly game for the coach to see them in action,” said Mubaiwa. “We want to play against Leopards, Pirates and Wits to test ourselves ahead of the Champions League. We know they will be on break due to Afcon and that would be the right time to play them. "We will see what happens next week then we can travel to South Africa,” explained Mubaiwa. The SA Premier Soccer League has entered a mid-season break to accommodate the festive period and the 2013 Africa Cup of Nations, taking place in the country from January 19 to February 10.